welcome to our route trough the historical and nowadays Jewish traditions and habits. Let us invite you to the re-exploration of the Jewish cultural sights of the Pilsen region. You can meet this culture that has become the part of culture in the Czech Republic. Jews have lived with us for more than one thousands years. Jews have been the most important minority in the Czech Republic. But unfortunatelly for many years their cultural traditions and theasures had been destroyed on purpose. Nowadays those sights are center of attention and a lot of them have been renovated and opened for public. 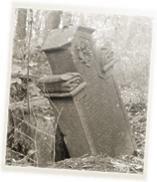 From remaining Jewish properties you can see mainly cemeteries. You can also find preserved synagogues , ghetto, Jewish roads and house.